Jingle bells, jingle bells, jingle all the way… down the line of pumping four-foot barrels during your stay at a premium tropical surf resort. Merry Christmas ocean-lovers! While Santa’s riding in his sleigh this year, you could be frothing on epic waves and charmed by incredible resorts in world-class surf locations – it beats any icy holiday at home for sure! 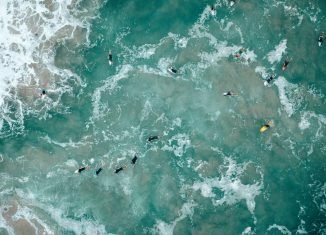 Argument granted, December is still a few weeks away, but we’re already feeling that Christmas spirit comin’, and our gift to you is a guide to the world’s best surf destinations to visit this festive season. 9,000km from the North Pole and a cheap flight from anywhere in Europe lies magical Sri Lanka. Whatever you’re after in India’s Teardrop – adventure, surf, culture, cuisine – you can make the experience your own. And to help you do it is the warm hearts and hospitality of Sri Lanka’s locals – one of a pile of reasons it’s a perfect festive getaway. Anantara Tangalle private beach villa. Tangalle has been labelled as ‘the perfect beach’ but many of our traveling friends. If you like swinging hammocks and sipping on cocktails, palm trees for shade and a beach that feels like your own then you might agree. 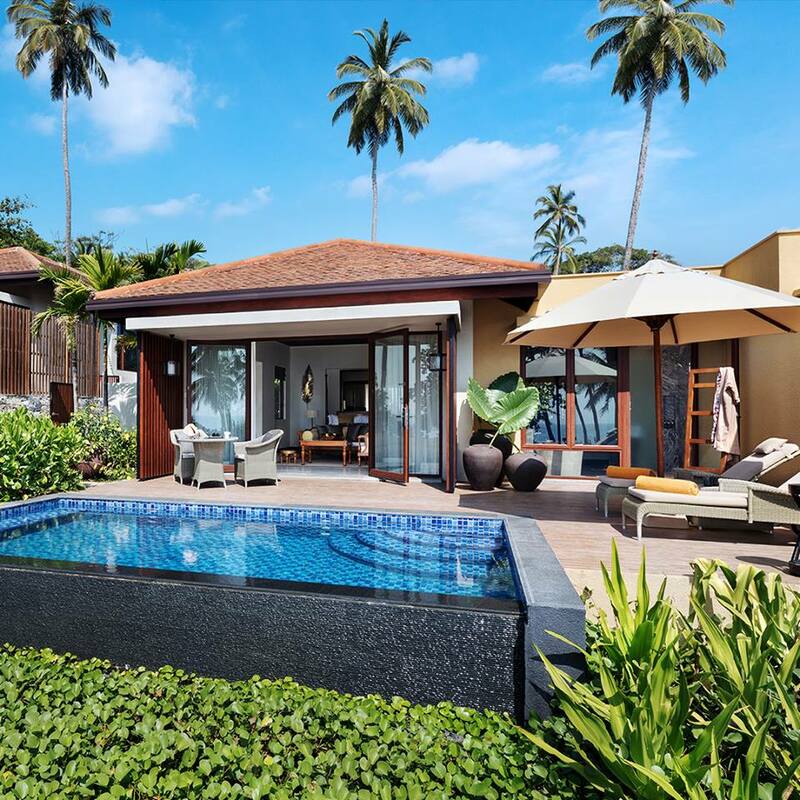 Yep, that’s dreamy Tangalle for you, where perched above on an epic cliff edge is where you’ll find its most eye-catching decoration: Anantara Peace Haven Tangalle Resort. It might be a long way away from your usual overpriced Christmas tree, and honey glazed roast dinner but what better way to spend your festive escape in paradise with pumping waves right outside your bedroom window. Facing a glossy Indian Ocean, Anantara’s Il Mare restaurant serves up a ravaging Christmas Eve feast! Enjoy catches of the day prepared to international standards, fancy wines paired by a world-class sommelier and a jazz trio dropping festive bangers on you all night. After unwrapping presents the next morning, you’ll be digging your feet in the sand at Verele – an oasis-style restaurant that houses the perfect Christmas brunch for a festive indulgence. Packages are available specifically for the Christmas and need to be pre-arranged. A line from my own Sri Lankan travel journal reads; ‘I’d trade my foot, hand, and heart to live in this place.’ It’s a reference to Weligama, a handsome town you’ll be itching to stay put in too. It blends a lively beachside, local culture and chilled coastal vibes as if they’re the ingredients for a perfect Christmas punch. 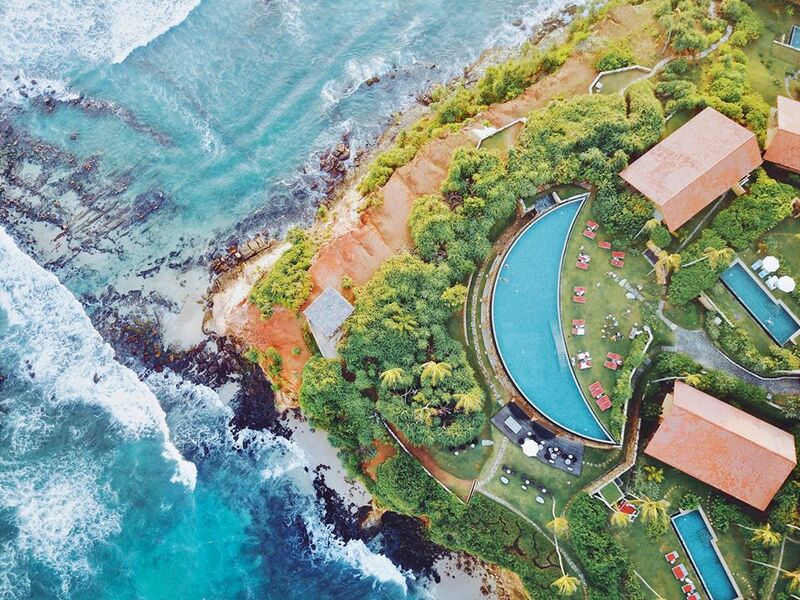 Cape Weligama Resort was built on the edge! If you’ve been a good boy or girl this year (hell, even if you’ve been good-ish! ), treat yourself to a stay at Cape Weligama Luxury Surf Resort. It takes out more 5-star reviews than any other resort in the region, and the place absolutely delivers at Christmas time. The cliff-side retreat puts on festivities that’d make the grinch cringe with envy. Its Tableau restaurant is an outdoor dining experience like no other, and after you savour every bite of your locally inspired mains, and lingered with cocktails well after dessert, you’ll only want to spend Christmas dinners under the stars. The resort’s infinity pool looks like a pathway into the Indian Ocean. It oversees a perfect reef break that’s simple to access, but your options for rippable peaks, the Sri Lankan south-east coast has to offer, are limitless. Unwrap a few waves on Christmas morning and fill your stocking with nothing but stoke. Santa will agree, you deserve it! I’ll put this simply… for a Christmas celebration to blow your stockings off, you can’t beat the Maldives! The region comes alive with Christmas spirit, and gala dinners are a regular on Christmas Eve. The Maldives are known for all-out luxury, but during the festive season, I guarantee you, the festivities are honestly outrageous. Niyama Private Islands Surf Resort is famous for its floating cabanas, pristine private beaches (the name says it all!) and a selection of world-class waves at your fingertips… oh, and you might’ve heard about their own underwater nightclub! 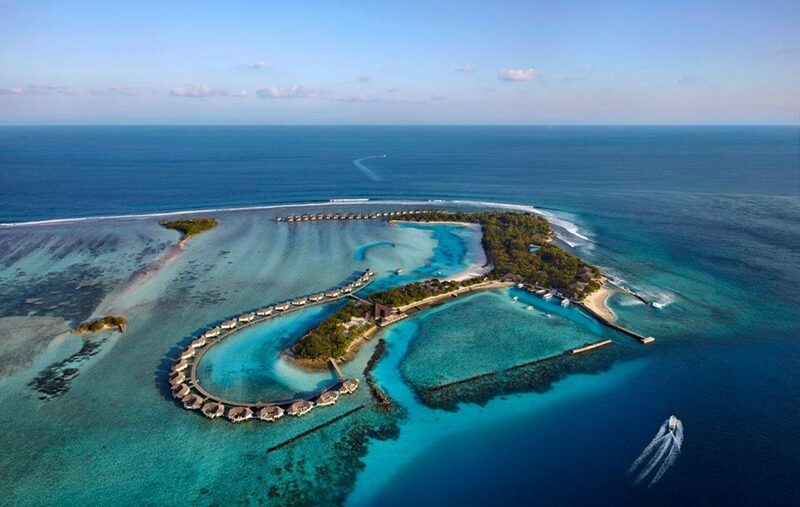 It’s one of the most unique resorts in the world and proudly wears the badge of ‘Nature’s Playground.’ No shock that it’s also got one of the Maldives’ most action-packed Christmas programs. On Niyama’s own Crescent Beach, check out their Christmas market with stalls serving up everything from mulled wine to eggnog and festive treats. Later, head six-metres underwater to Subsix for a 5-star dining experience that’ll trump any other holiday feast. Gawk at glowing corals on one side of the glass and stunning Christmas décor on the other, while Dad gets a break from a year dressed as Santa. Back on your private beach for some cocktails, you can gear up for a Michelin star feast inches from the water at Nature’s Playground’s incredible restaurant Edge. I love a good party at Christmas time. Raising a glass of eggnog and cutting a rug with my Santa hat can be as satisfying as a well-timed visit under a mistletoe. While in the Maldives, a resort that throws a party better than most is Six Senses Laamu. Chilled enough to keep you in your vacay trance and suitably exciting to keep it in the memory bank for years to come. Next on your Christmas celebration list at Six Senses, you can take the lady or the man on a romantic escape to a secluded sandbank or just sip on the finest festive cocktails on one of its six bars and restaurants. Come New Year’s Eve you’ll be welcoming a stellar start to 2019 with resident DJ’s and some floor stomping celebrations. Anytime is the most wonderful time of year at Six Senses Laamu – but Christmas time is hard to beat! 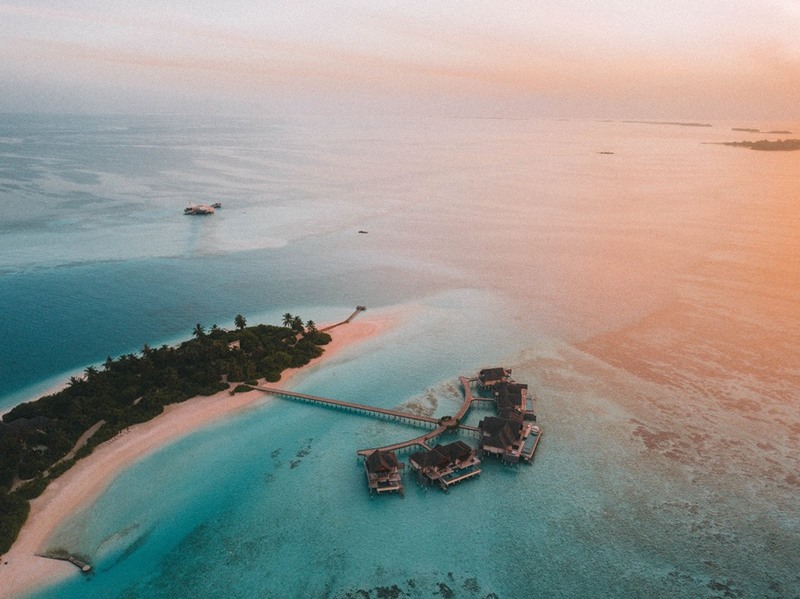 Laamu Atoll, deep in the southern Maldives, is home to an array of marine megafauna, world famous Yin Yang surf break, and an endless turquoise lagoon for you to spend your holiday in awe. Witness how Six Senses Laamu weaves an #OutOfTheOrdinary experience for its guests by combining nature, local culture, and sustainable practices. Whether or not you believe in Santa, a tropical Christmas is waiting for you these holidays. Don’t be naughty; be nice to yourself and jump on a sleigh to a magical surfing destination this Christmas.